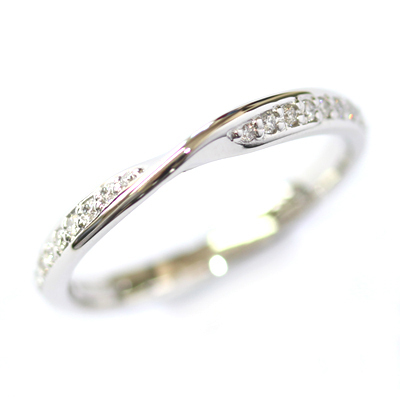 Diamond Set Twist Wedding Ring — Form Bespoke Jewellers Ltd.
An elegant twist wedding ring set with diamonds. A twisting style wedding ring is a pretty and clever fit for alongside an engagement ring, encouraging your eye to be drawn to the heart of the twist. 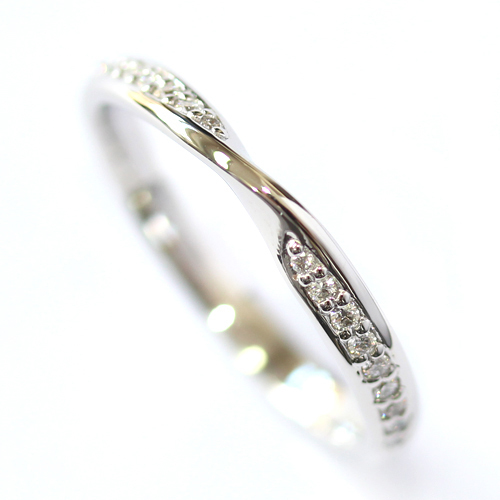 For additional detail, the customer chose for their 18ct white gold ring to be diamond set too. Each round brilliant cut diamond is grain set by hand for extra sparkle. 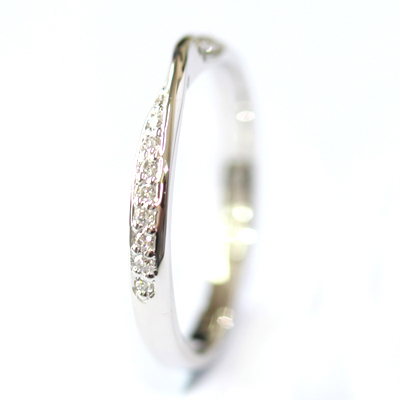 A dainty, sparkling twist wedding ring.